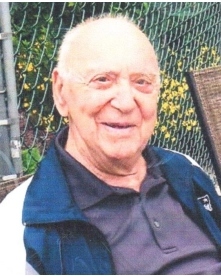 HENRY V. DIODATI, age 88 of Eveready Avenue, Bristol, died Tuesday, July 3, 2018 at his home, surrounded by his loving family. He was the husband of Sarah (Bruno) Toste Diodati. Born in Bristol, he was a son of the late Joseph A. and Rose (Ferrara) Diodati. Henry was a graduate of Colt Memorial High School where he played on the 1947 Class C Champion basketball team. In 1947 he won the R.I. High School Foul Shooting Championship and was 2nd in the New England Championship. He earned his graduate and undergraduate degrees from the University of Rhode Island in 1951-1957. Mr. Diodati served as a lieutenant in the infantry during the Korean War as a rifle platoon leader, company commander and recon officer of a heavy weapons company. He earned five medals, including the Korean Service Medal with 3 battle stars and the Army Commendation Medal. He was a teacher and principal in Portsmouth, R.I. public schools from 1954-1974. In 1974 he was appointed superintendent of schools, retiring in 1989. In 1970 he was selected by the Kettering Foundation as one of 16 outstanding educational administration practitioners in the nation to present his plan for the Portsmouth Middle School at a symposium in Melbourne, Florida. He was elected to the Warren, R.I. school committee in 1962 and served as chairman for two years. He was a member of the Portsmouth Education Association and served as treasurer and president. He was also a member of the Rhode Island and National Education Associations and the association of Rhode Island School Superintendents. He loved music and the performing arts. Throughout high school and college and later, he performed in a variety of musicals and revues. He was an avid golfer and has been a member of Wanumetonomy Golf & Country Club since 1967. In addition to his wife, he is survived by four children; Kim Securo and her partner, Mike Caprio of Bristol, RI & Naples, Fl., Henry V. Diodati, Jr. and his wife Deidre (O’Connell) of Naples, Fl. and Martha’s Vineyard, Ma., Lori Amaral and her partner, Ken Sampson of Warren, RI, and Scott Diodati and his wife, Salliane (Smith) Diodati of Warren, RI. Also, nine grandchildren: Joseph Diodati, Nicholas Diodati, Lucas Diodati, Lylah Diodati, Lauren Mongillo and her husband Christian, Lindsay Johnson and her husband, Jeff, Evan Securo, Bradley Amaral and his wife, Brittany, Sophia Rose Diodati and Renae Hamby and her husband James. He is also survived by two stepsons, Norman Toste and his partner, Jodi Bennevidnes of Fall River and Paul Toste and his wife, Patricia (Quaglietta) of Hillsborough, New Jersey and six step-grandchildren: Kyle Toste and partner, Madeline, Keith Toste, Kevin Toste, Madison Moscarelli, Michael Toste and his wife, Meghan, Megan Falzarano and her husband Roberto and Matthew Toste. Also, seven great grandchildren: Logan Toste, Lucian Toste, McKenzie Toste, Leah Mongillo, Tristan Hamby, Savannah Hamby and Aubree Amaral. In addition, he is survived by a sister, Christine Velleca.